When a book keeps me up all night, I have to blog about the story. 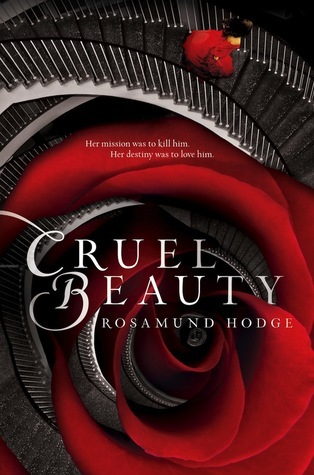 I started reading CRUEL BEAUTY by Rosamund Hodge Friday evening and didn’t go to bed until 6am! Of course, I’ve always been a sucker for anything remotely BEAUTY AND THE BEAST with a twist. (Those that have beta read my BEAST know this to be true.) And this story delivers! Now, I’m usually one to stay away from tales that mention a demon. Yunno, cracking the door paranoia sort of thing. But this isn’t that kind of story to fear. No Heaven versus Hell with fallen angels stuff, but more internal good versus evil. The fact that Rosamund created Nyx Triskelion (this story’s Belle) with bitterness in her heart made the character more realistic. Darkness lives inside the Lord of Bargain’s ever changing castle (which reminds me of Hogwarts) and the magical turns will keep you flipping to the next page. And if you’re a fan of Greek mythology, Rosamund perfectly weaves the ancient gods into her eerily twisted tale. I couldn’t get enough of Rosamund’s style. 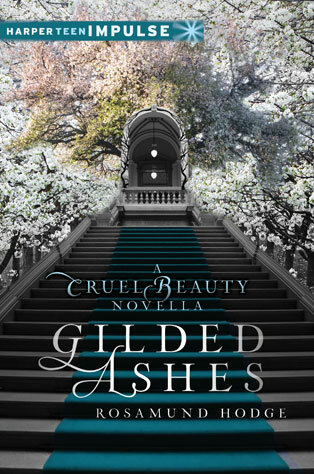 So on Saturday, I read her novella GILDED ASHES (CRUEL BEAUTY UNIVERSE BOOK 2). This is sort of a prequel to CRUEL BEAUTY, but only in the sense that it takes place in the same area before the time of Nyx Triskelion and the Lord of Bargain makes a cameo. This is it’s own twisted story based on CINDERELLA. Rosamund keeps true to her flawed characters and betrayal’s that leave you fuming. Now, I’m anticipating the release of her next novel CRIMSON BOUND. And you guessed it, another twisted fairytale retelling: LITTLE RED RIDING HOOD. Give me!